The shopping centre market in Europe: increasingly sustainable. According to the latest European Shopping Centre Development Report there is an increasing number of new shopping centre developments, after a weak first half of the year in 2016. If the entire expected built area in Europe will be delivered on time, the total number of the shopping centres will increase from 156.3 million square meters - recorded at the end of the first half of 2016 - to 164.4 million square meters by the end of 2017. In a ranking of European countries with the greatest square metres of new space, Italy ranked fourth, after Turkey, Russia, and France, with 93,000 square meters of new GLA completed in the first half of 2016. The capitalization rates are currently low, promising an appreciation of the assets over time, and are attracting many investors in Italy. 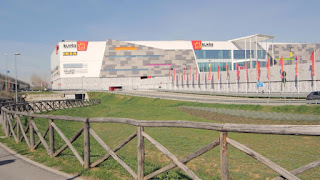 A representative case of this trend is the newly opened ELNÒS Shopping in Roncadelle, the largest center in Brescia. The slowness of the scheduling process and the difficulties related to the implementation of new malls has led to an increase in the expansion of existing centres. In the second half of 2016, 1 out of 5 interventions in Europe covered the renovation and expansion of existing centres. Real estate owners are committed to make their shopping centres continually attractive to end users, by placing elements that can add value to their customer experience. An example of this trend is the refurbishment of the shopping centre O’Parinor, opened in 1974, it is now one of the five largest centres in the Ile-de-France area, Paris. It has just been renovated and enlarged through a major restructuring program, concerning the building, the systems and the opening of new interior spaces. Both in new and in refurbished shopping malls there is an increased attention to topics related to respecting the environment and sustainability. 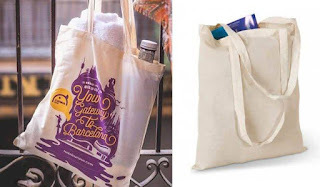 If, on one hand, more and more brands choose the most suitable shopping center to meet the requirements of their environmental policies, on the other, real estate owners tend to invest more in sustainability to add value to their developments. An example is the new Adigeo mall. 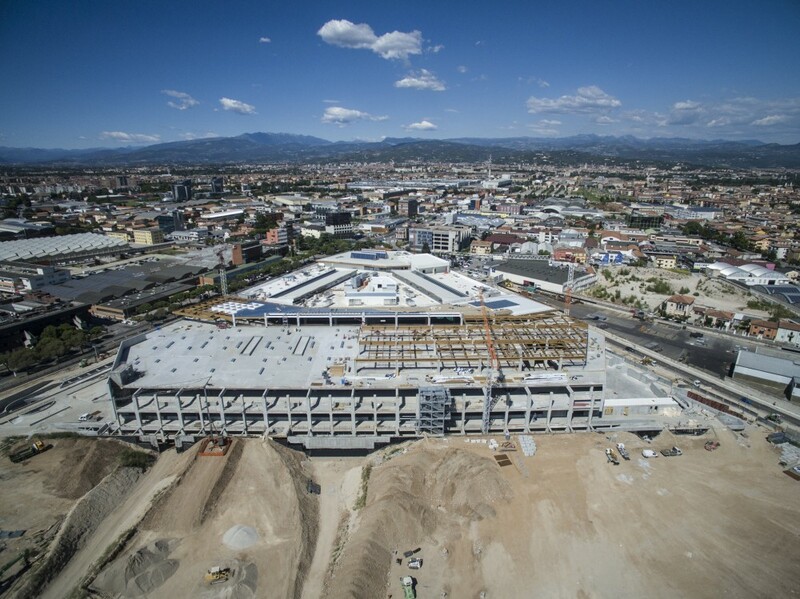 Built in the refurbished industrial site, Office Adige, and being a part of the Adige City masterplan, the new Adigeo shopping centre has a total gross built area of 72,000 sqm and more than 140 shops. It will open at the end of March. In line with the social responsibility policy of the property, Adigeo is undergoing LEED GOLD certification. As a result, technological systems today are playing a key role in the development of a successful shopping center. LED lighting, innovative lift systems, efficient air conditioning and treatment systems, photovoltaic panels, rainwater collection, and BMS systems have quickly become key elements to make buildings efficient and well performing, while ensuring at the same time the best ‘customer experience’ to their visitors. When talking about technological systems, something worthy to note is the air conditioning system, specifically for the benefits it can bring both in terms of interior comfort and energy efficiency. In modern shopping centers it is in fact necessary to design high performance and flexible HVAC systems, able to offer the ideal temperature in the malls and in public spaces, in small, medium, and large shops, both in summer and in winter, during the relative calm throughout the week or during the crowded weekends. The same system has to reduce energy consumption and on site CO2 emissions, exploiting renewables if possible, and granting the highest acoustic comfort to the end users. Mitsubishi Electric Hydronics and IT Cooling Systems, thanks to the vast experience of its brand Climaveneta, designs, manufactures, and markets high efficiency, reliable, economically viable, eco-sustainable air conditioning solutions for shopping centres. ELNÒS, Adigeo, O’Parinor: Climaveneta is there! 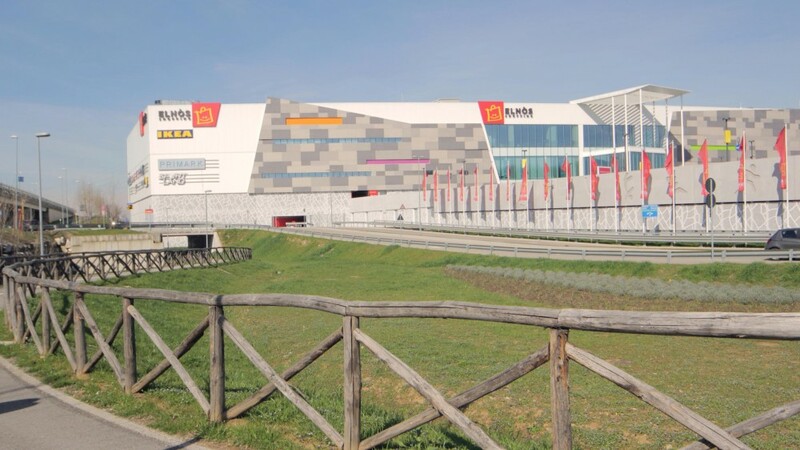 So it is not by chance that the main new shopping centers in Italy; ELNÒS Shopping and Adigeo are both air conditioned by Climaveneta units. The HVAC system of the ELNÒS Shopping is based on Climaveneta air conditioning units: 6 NECS N/B1716 reversible heat pumps, 10 WET/RTF water source roof top with variable water flow system. In addition, 10 WIZARD air handling units, for a total air flow of about 250.000 m3/h, have been installed to grant perfect comfort all year round. The Climaveneta units are linked to the BMS to improve the management of energy consumption. 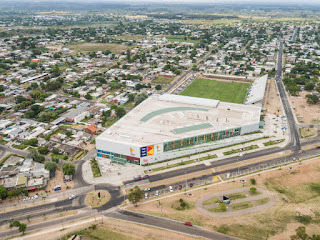 At the Adigeo Mall the HVAC system has been designed following the LEED prerequisites, with a strong focus on sustainability and energy efficiency. 16 WHISPER ENTHALPY air source roof top units by Climaveneta have been installed, for a total air flow of 500.000 m3/h, and 1 air to air reversible heat pump NECS-N/CA in Class A efficiency. Furthermore, even the new HVAC system of the refurbished O’Parinor shopping centre is based on 2 high efficiency Climaveneta water cooled chillers; FOCS2-W/CA/S 9003, for a total cooling capacity of 4.470 kW. The units have been selected in high efficiency version: with innovative optimized compressors and high performing heat exchangers, which enhance EER values up to 5,1 for Eurovent standard conditions.